Shots fired at foreigners, assaults on minorities, neo-fascist marches: Italy’s extreme right wing feels emboldened by the country’s new leadership. 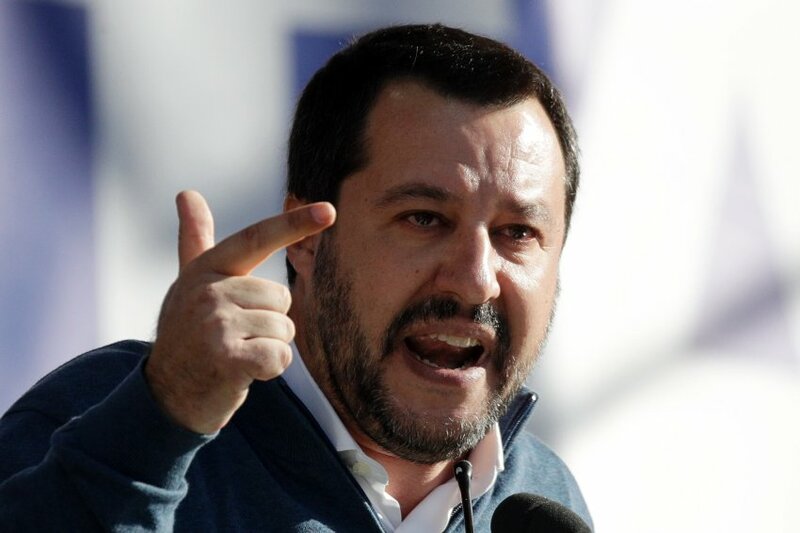 Many are pointing fingers at Interior Minister Matteo Salvini. But is he to blame? Not a day goes by without an incitement from Salvini. In office as interior minister since June 1, the head of the right-wing party Lega has become the voice of the government led by Prime Minister Giuseppe Conte. Salvini’s motto is simple: “Italians first.” His tone is combative. And the consequences can be seen everywhere. It seems as though neo-fascists and right-wing radicals around the country feel invigorated, as though xenophobia has become acceptable. Gad Lerner, the writer of a television series about racism, even speaks of a “fascist maelstrom to which our country is succumbing.” But someone like Salvini isn’t too concerned about criticism. Sitting at his desk in the Interior Ministry, beneath a painting of the Baby Jesus between Mother Mary and Saint Anne, he poses as a strongman who refuses to be cowed. He has closed the country’s ports to refugee boats, cut the number of new arrivals to a fifth of their previous total and pushed through a new law that allows for accelerated asylum proceedings and deportations.